In many shop windows, what you mainly see is a reflection of yourself and the surroundings behind you. This is naturally not the intention - the glass should offer a clear view of the items on display. This can now be realised with Macada Anti-reflection glass. Macada Anti-reflection glass is a glass panel – available in different thicknesses and formats (see below) that is equipped with a special anti-reflecting coating. This coating reduces the natural light reflection of the glass to 0,8%. By comparison: the natural light reflection of normal float glass is 8%. The anti-reflecting coating is suited to interior and exterior applications and ensures that the glass has maximum transparency, now and in the future. Macada Anti-reflection glass is ideal for large areas, such as shop windows and showrooms. But in smaller sizes there are also many possible applications: displays in shops and health centres, display cabinets in museums, and even as a protective cover for LCD screens. The glass is often used when framing works of art. Also available as laminated glass. 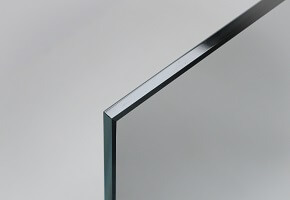 Maximum dimensions for anti-reflection coating: 2250 mm x 3210 mm.